And still, for the ordinary people (and even in big business), SUSTAINABILITY is something that is very hard to chew. 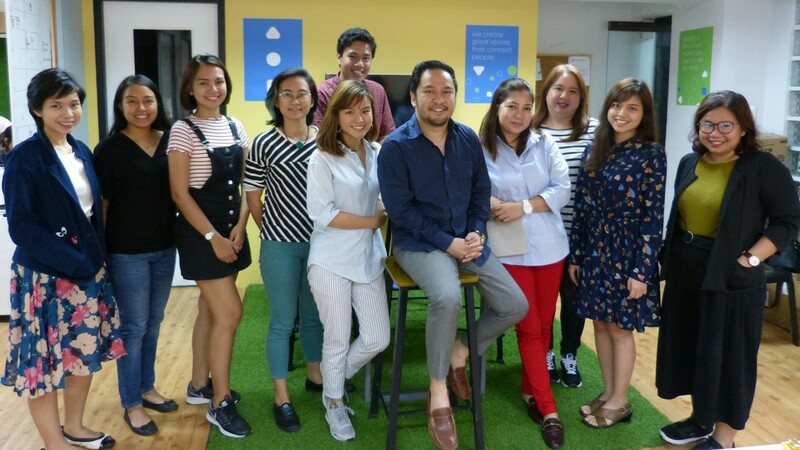 That’s why it’s a good thing that we can now have it here in the Philippines as a DRINK – easily consumed sustainability reporting with the help of Mr. Harris Guevarra, President and CEO of Drink Sustainability Communications and his team. DRINK is the only sustainability communications agency in the country. In a nutshell, DRINK as a company help other companies to understand and practice sustainability. They produce sustainability reports that encourage clients to take stock of their operations to make sure that they have a positive effect where they operate. They help clients understand sustainability, gather data, extract stories from data, and communicate all these to their stakeholders. During the reporting process, the client looks at their practices and strategy – they then support this self-assessment, and take note of their plans to improve on these. With the client’s permission, they can also bring in experts from anywhere in the world who will help weigh in on the data, and make proper recommendations. Harris founded Drink in 2010 as a creative agency. The company grew to five (5) people in three years doing the usual below-the-line advertising materials like brochures, pamphlets, flyers. “The new direction began when Ayala Land, Inc. asked us to help them with their 2013 sustainability report. I studied how it’s done and I developed a passion for sustainability. I do believe that businesses have a responsibility not only to their investors, but to their employees and customers,” Harris said. So in 2014, Drink decided to focus on helping corporations become sustainable by helping them write their sustainability reports. Now it is the core product of Drink and they have also expanded to 19 people to date, and still growing. “We do practically everything a creative agency does, only our focus is sustainability. So beyond the sustainability report, we’re making microsites, social media posts, AVPs, radioserye, brochures, info kits, you name it. We want to spread the message in a way that is easily absorbed by the target audience. Not everyone reads a report, but maybe they’ll read a comic book or play with an app, things like that.” Harris added. During the interview, Harris elaborated the many unique features of the business environment where they offer their services. Here’s a rundown on what they do and how they do it. Dubbed as the language of 21st century businesses, sustainability changed the definition of success for many companies. If before, you can say that you’re successful if you’re hitting your financial targets, nowadays, that’s just one aspect. In sustainability, you also have to look at the social performance of the company. You have to look at environmental impacts. And all these are tied to your policies and management approach. For example, how many scholars does your company have, and among those scholars, how many will you hire? So that way, you won’t have human resources problems. Another example, you set a policy of turning off the aircon at 5pm, or you digitize transactions. So you’re saving the earth, but you’re also saving money. There are financial benefits to being sustainable. It actually solves different business problems. And it’s more than just CSR or the usual corporate social responsibility activities. CSR is just one aspect of sustainability practice. CSR is relationship-building, and usually concerned with the present-day need to give back to the community. Sustainability is more holistic and looks at the short, medium, and long-term impacts of the business and its community initiatives. A sustainability report is a collection of data disclosures and stories. You report on your environmental, social, and governance (ESG) performance. You also discuss financials but more in terms of stability of the company and how much of revenue is redistributed, so that includes everything from labor costs to taxes to investments in the local community or CSR efforts. The standards or performance indicators you report on will depend on you and what your stakeholders want discussed. Maybe you want to talk about diversity: What is the ratio of men to women in the company? Do you have a policy for LGBT? Do you employ PWDs? You can talk about safety: We look at number of accidents in the workplace, whether major or minor, and the number of safe or incident-free man-hours. Suppliers, contractors, and customers would want to know about this. How about the environment: How much electricity do you use? What do you do with your garbage? If you talk governance: Do you have a policy on risk management? How involved is your Board in sustainability practice? It’s a complete picture. Sustainability Reporting allows you to be very transparent. Sustainability Reporting allows you to know the real issues of your stakeholders, both internal and external. Sustainability Reporting is also for branding and reputation because customers are now becoming more conscious of the products and services that they buy, and even how they are sourced. Sustainability Reporting is also a good preemptive crisis management tool, to avoid future crisis or any disruption in operations. In the Philippines, there aren’t many companies that practice sustainability reporting yet. The problem with the term sustainability is it’s technical, it’s a big word. Out of the top 1000 companies listed, only 20 plus companies are actively reporting. It just started around 10 years ago, it started with Manila Water of Ayala Corporation. But it cuts across industries. DRINK has made sustainability reports for top corporations, NGOs, and government agencies like Ayala, Metro Pacific Investments Corporation (including subsidiaries Maynilad, Philex Mining and PXP), Pilipinas Shell Petroleum Corporation, Universal Robina Corporation, Aboitiz Group, First Philippine Holdings (including subsidiaries First Gen Corporation and Energy Development Corporation), and Megaworld Corporation. They’ve also worked with Unionbank of the Philippines, Land Bank of the Philippines, UNICEF, Philippine Competition Commission, Wholesale Electricity Stock Market, Team Energy, San Roque Power Corporation, Philippine National Oil Company, Health Policy Development Program (HPDP), and Forest Foundation of the Philippines. “Several companies are actively reporting every year, so we’re seeing more appreciation for sustainability. Our work has also been recognized – the most recent being an Award of Merit and an Award of Excellence in the 2018 Quill Awards. We’re hoping more companies start practicing.” Harris said. Harris graduated from De La Salle University with a degree in AB Literature minor in Creative Writing in 2004. In 2017, he obtained a certificate in Business Sustainability Management from the University of Cambridge. He is also the founder of Uno Morato, the first all-Filipino bookshop in the Philippines. Aside from DRINK, Harris also owns a Soya Factory and is currently venturing into other businesses. In April last year, he was among the 25 young entrepreneurs from around the globe chosen to join in the 2018 Westerwelle Foundation Young Founders Program. And the first Filipino to qualify. 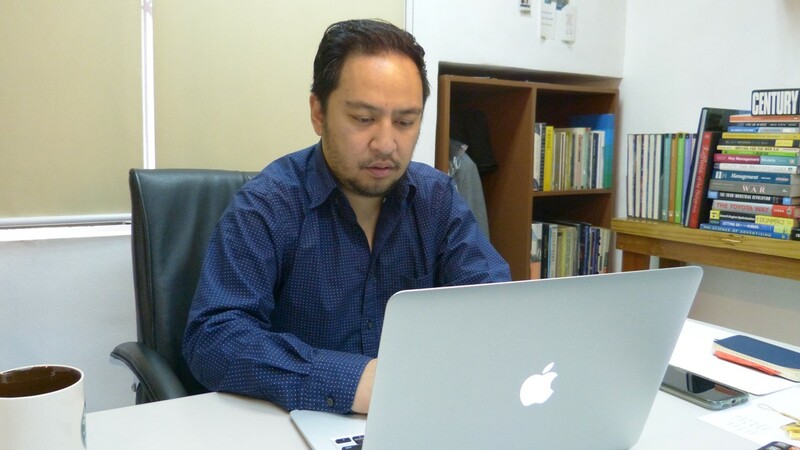 Prior to establishing DRINK, Harris worked as a copywriter for GMA Network where some of his commercials won awards here in the Philippines and also abroad. 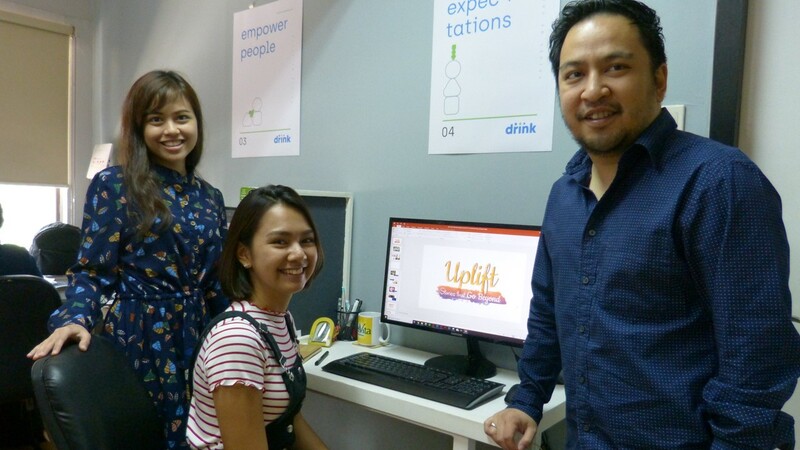 Aside from being the only sustainability communications agency in the Philippines, DRINK wants to rally all the big Filipino brands and companies to practice sustainability and sustainability reporting.